Traditionally used for boning poultry Honesuki and Garasukis can be identified by their triangular shape and clipped point. When under 165mm this shape is referred as a Honesuki while those over 165mm are called Garasuki. The Glestain 5.9 in. (150mm) Left Handed Honesuki is traditionally used as a boning knife primarily for chicken or duck. The Glestain 5.9 in. 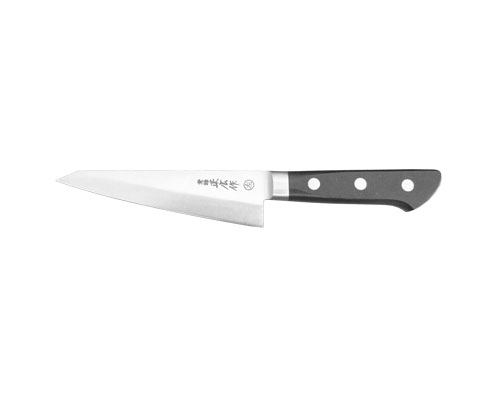 (150mm) Honesuki / Boning Knife is great for de-boning meats and can also be used for slicing. The Glestain 7.5 in. 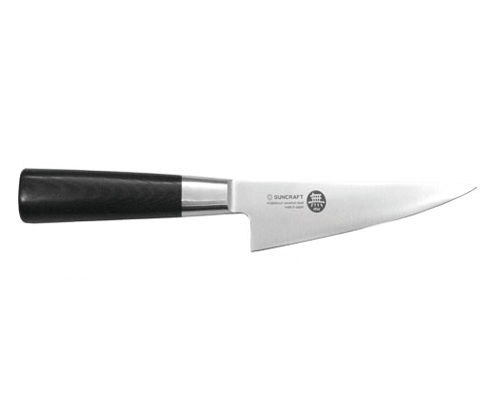 (190mm) Garasuki is great for de-boning meats and can also be used for slicing. This Kikuichi 5.9 in. (150mm) Honesuki is just like the Kikuichi garasuki, just smaller. Used for de-boning poultry, and a great knife for other butcher duties. The Kikuichi Elite Carbon 5.9 in. (152mm) Sakabone can be used to fillet fish, but it is also appropriate for poultry and other meats. This knife is one sided, but becomes dull toward the heel of the blade, to make it easy and safe to break through bones. Great for cutting, deboning a chicken. Japanese style pointy boning knife. Pakka-wood handle and weighted bolster for comfortable balance. The Masahiro Carbon 6 in. 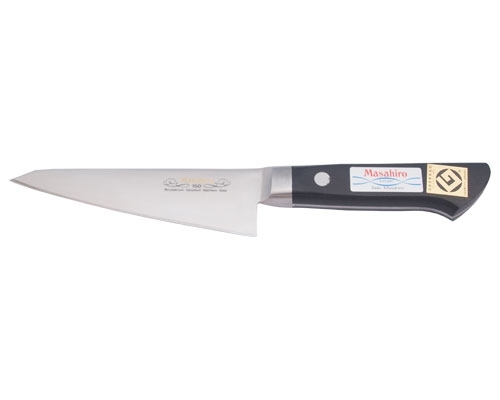 (150mm) Garasuki is a wedge shaped knife that works great when cutting and deboning a chicken or many other types of butchering duties which require a heavy blade. The Masahiro Carbon 6 in. 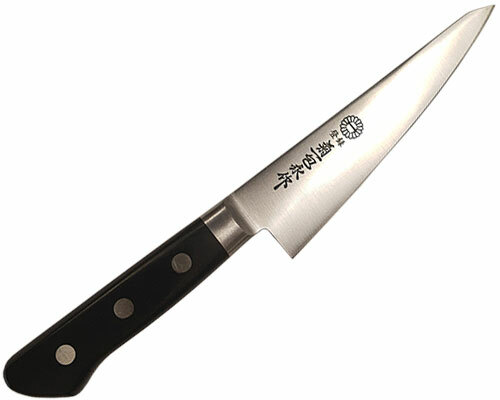 (150mm) Sakabone is a thicker and heavier blade which makes it appropriate for poultry, sucklings, chining and various butcher. One sided for 80 percent of blade length. Two sided and blunted near the handle for pushing through joints. The Masahiro MV 6 in. (150mm) Left Handed Garasuki is a poultry boning knife, that also works well as an all purpose boning knife. The Masahiro MV 6 in. 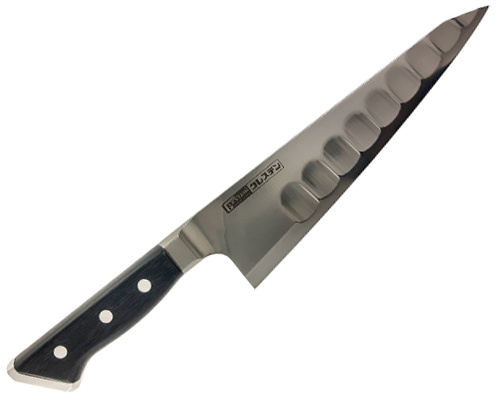 (150mm) Garasuki is a wedge shaped knife that works great when cutting and deboning a chicken or many other types of butchering duties which require a heavy blade. 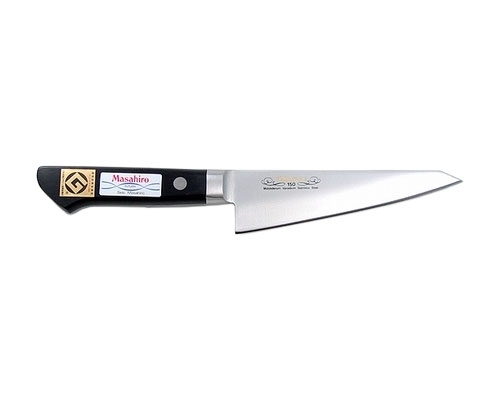 Masahiro Virgin carbon steel sharpens to an extreme edge. The honesuki is used for boning and for filleting small fish. Special production run. High carbon stainless steel blade (same as the S1 series) with an ironwood handle. 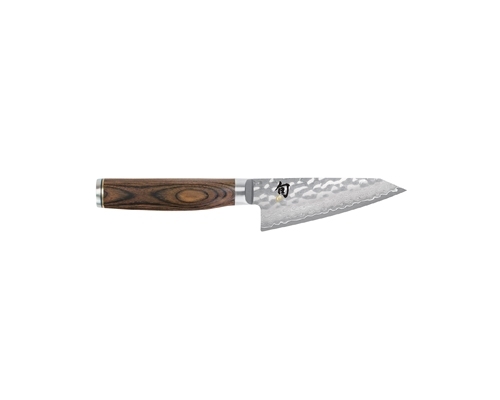 The Shun Kanso 5 in. 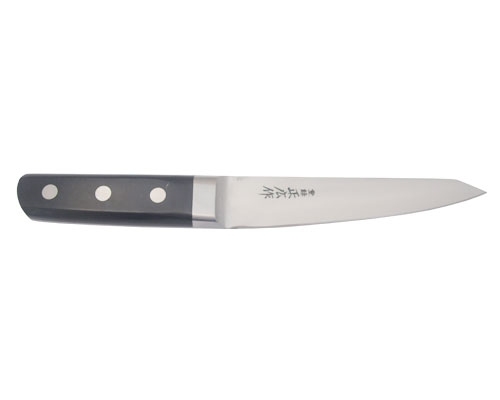 Honesuki is the ideal knife for heavy duty poultry work. 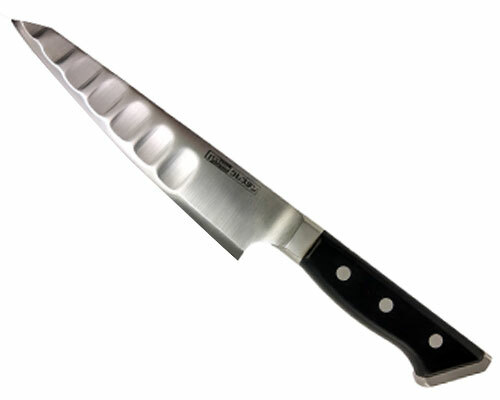 The AUS10 steel provides a strong edge perfect for filleting breast meat and cutting through joint cartilage. 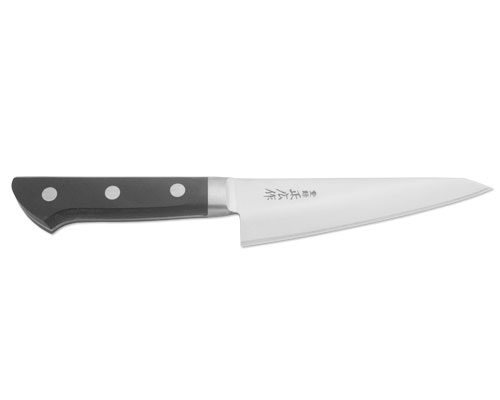 The Shun Premier 4.5 in. (110mm) Honesuki is used primarily as a boning knife for poultry, fish and meats. It is a traditional Japanese knife shape but with an edge on both sides. So, this knife is suitable for left or right handed users. The Suncraft Fusion 6 in. Honesuki is a traditional Japanese boning knife. 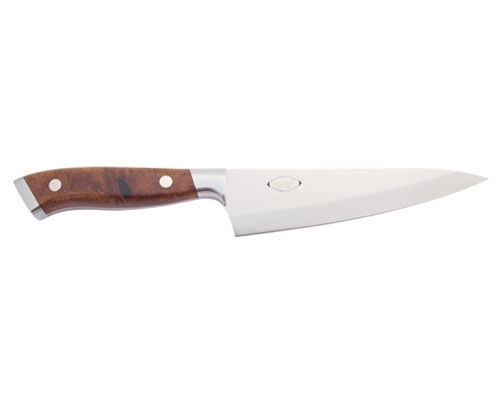 This knife is great to use for boning chicken and other poultry, and filleting. The Suncraft Fusion Series is a high quality Molybdenum Vanadium Japanese steel with a dark colored Linen Micarta handle. 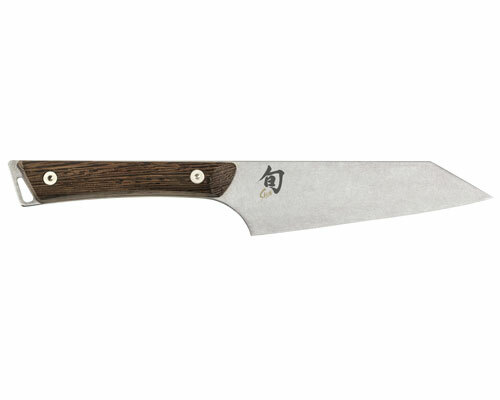 Suncraft Fusion knives are a blend of East meets West and combine the best of both cultures.